Time to start part four! 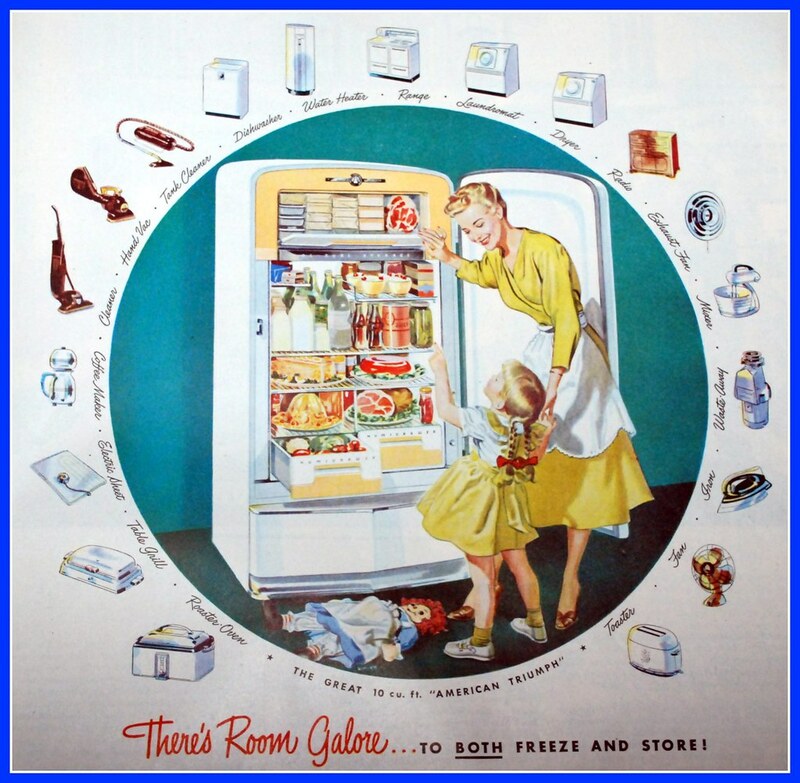 Lets see those vintage advertisements for Refrigerators, Stoves, Washers/Dryers, Radios, Phonographs, Televisions,Vacuums, small kitchen appliances, cookware, gadgets...hey everything AND the kitchen sink! Lets take a trip down memory lane. Special thanks to hubby (Catalanman) for links. Please note: Please be sure any advertisements you post do not contain any watermarks or copyrights on the image from any persons or other websites. Thanks! 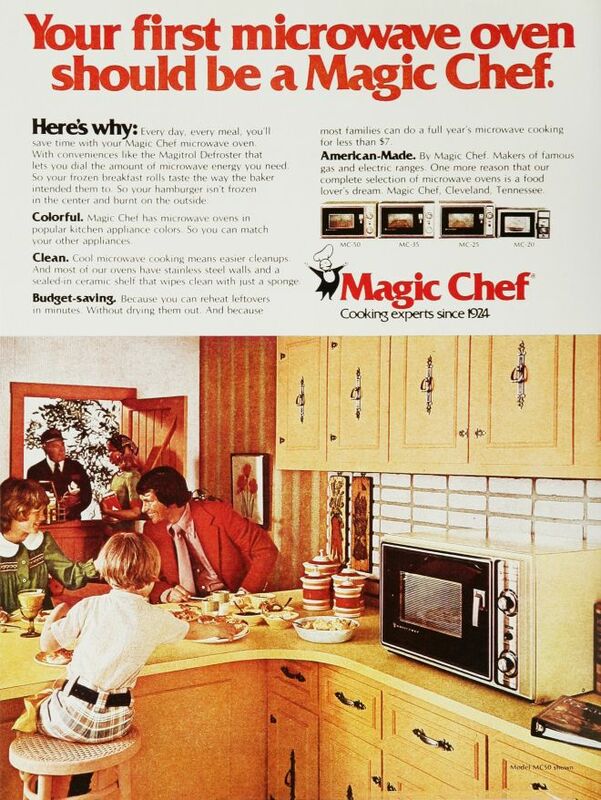 Ahh there's my second microwave oven up there the 1975 Litton. Bought it at Woodwards dept store on E Hastings in Vancouver back in the day but would have been in 1976 iirc. In that Magnavox VCR advert the first VCR (left) is exactly like the one we bought in 1980, except that it was a Hitachi. It was a very good machine, but was cantankerous with the original set up tuning. It wasn't automatic. You had to use these little dials under the programming cover to tune in each station that you wanted the VCR to receive. From time to time the stations would drift. That machine cost us $700.00 then. 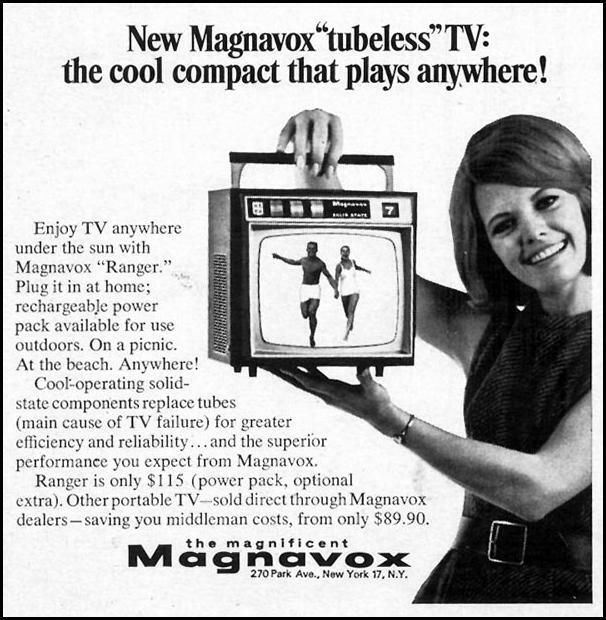 I wonder if Magnavox just didn't put their name on some machines they bought from Hitachi? 1979 was when VHS started to hit this country big time. Very few people had VCR's back then. When we got ours in 1980 our friends were amazed by it. I think the 1982-86 timeframe is when most people bought their first machine. 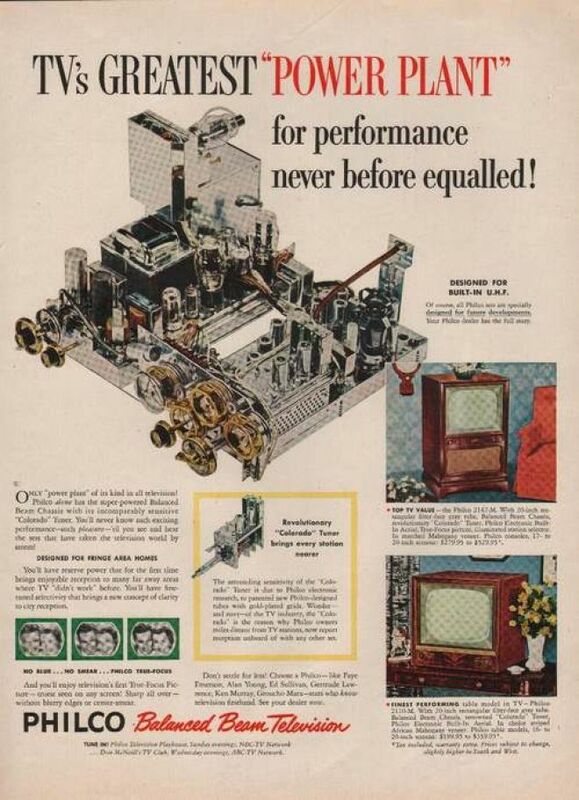 But I do remember, maybe 1974 or 75 when Sears had a reel to reel video system made by Ampex for home use. 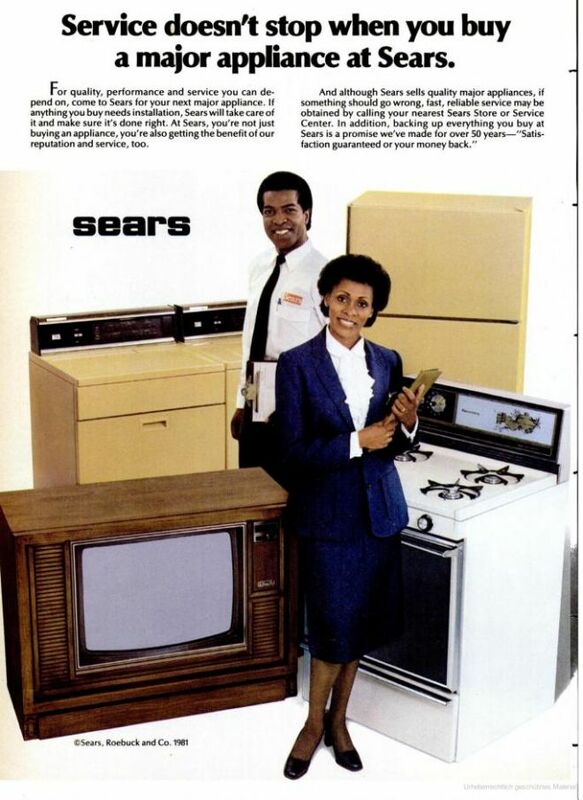 I don't think it was very popular as Sears didn't sell it for more than a year or two. 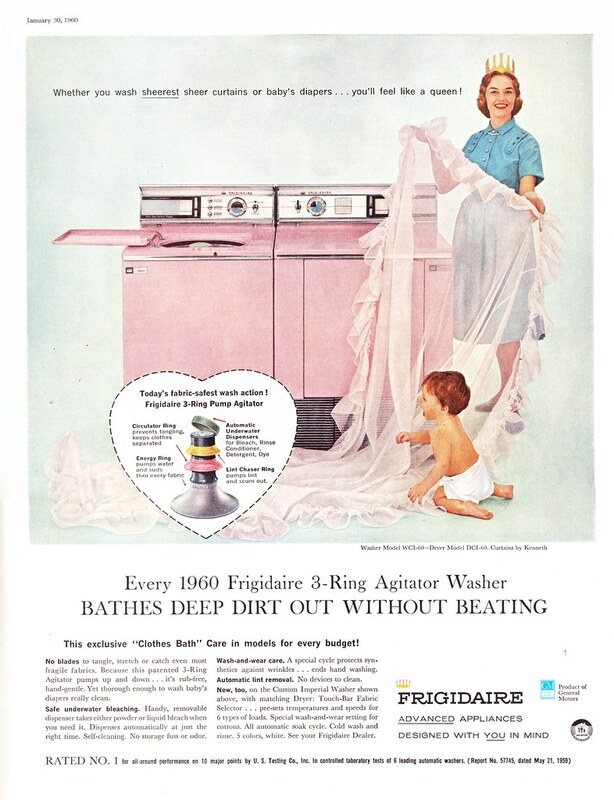 That Sears washing machine is the one I have been looking for in an add for years. 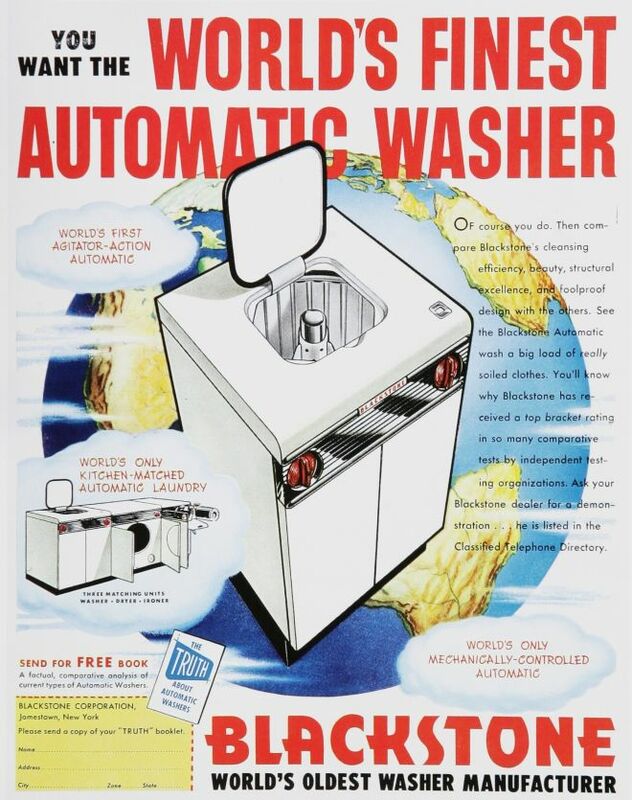 A friends mother had this machine and i was always amazed at the cycles and you just put the dial on the letter and away it went. Was a suds saver also. "1979 was when VHS started to hit this country big time. Very few people had VCR's back then. 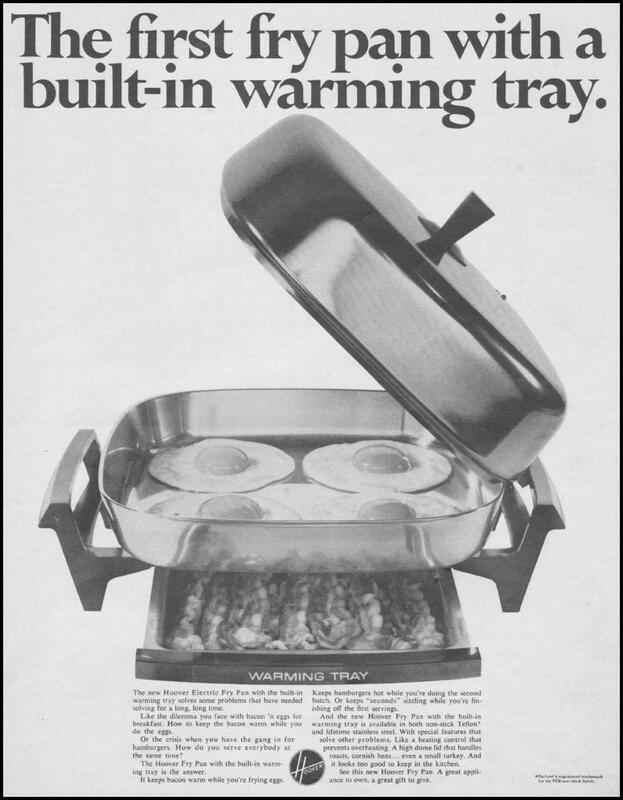 When we got ours in 1980 our friends were amazed by it. I think the 1982-86 timeframe is when most people bought their first machine." I can't really remember for sure the years, but 1982-1986 sounds about right. While I have heard of videophile types and gadget freaks having videotape in the late 1970s, I don't recall anyone I knew having it until the early 1980s. I first saw video tape in my school. I have no idea when they bought into the technology. By the 80s someplace, it was clearly the rising technology. Regular "films" were still used--but they mostly a legacy product from the pre-video era. My family got the first--and, as it turned out, last--VCR a little about 1988. I feel it's safe to say that video tape was well established by that point, simply because I know my family: we were never the first to have new technology. Indeed, a lot of stuff that people took for granted was never bought by my family. 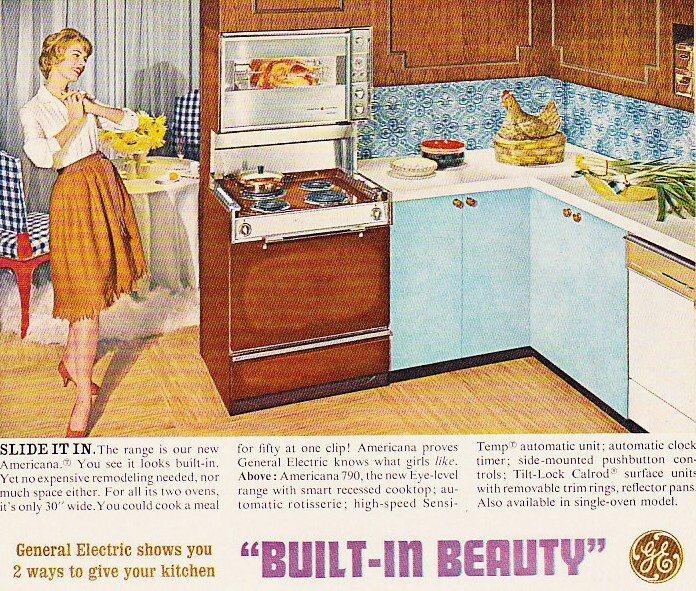 We never had a microwave oven, and the family audio system remained nothing but a record player, receiver, and speakers until the bitter end. We might not have had a VCR either, except my mother received regular catalogs that sold books, audio recordings, and video tapes (often clearance items). She studied the video section one night, and was sold on the idea of video tape. There were several movies she was interested in seeing. As she commented to me, she'd thought video tape was nothing but exercise videos. Thanks for all these threads and ads!! 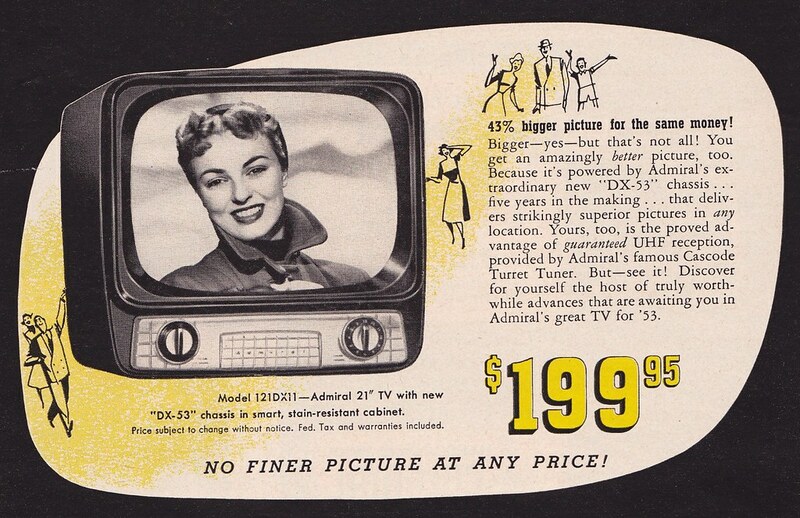 I love the two page Magnavox ad with the Kim Novak blonde and the unreal backgrounds. Also, I have two Capehart table radios without clocks, one red, one green. 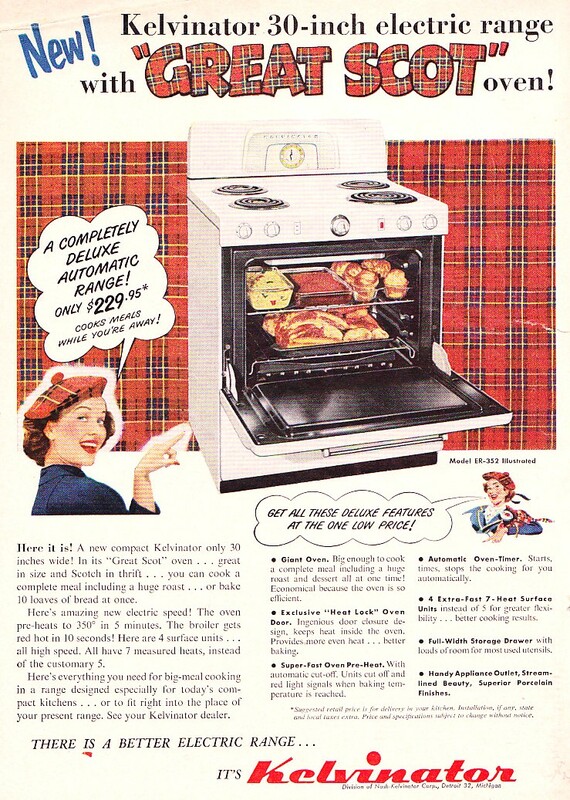 I have Shirley Jones' fancy chrome Sunbeam, and the 1962 Toastmaster. Thanks again for all these golden age memories! 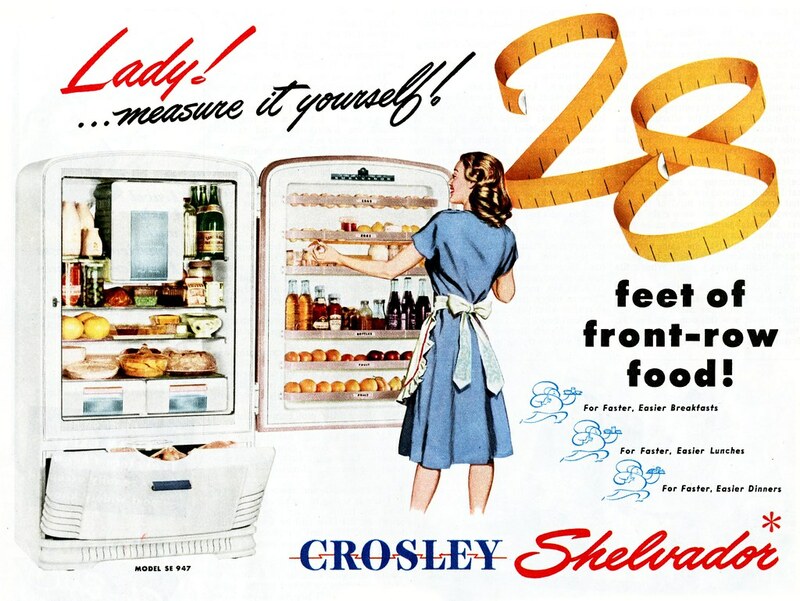 The 1961 LK Combo, I do believe that was the first year of the slimmed-down 29" models. In college I had a good friend that I used to spend some weekends at his parents house with. The first time I met his mother I almost fell over! She could have been Shirley Jones twin. The resemblance was amazing. She even wore the same hair style. This was when "The Partridge Family" was on so it was kind of surreal for me. She was also about the same age as Shirley Jones come to think of it. I love it!! The husband stnding there watching the washing action in the porthole window of the lid and the expression on the wife as she's sitting on that stoool!! One of my "Dream Machines". I want this one for Christmas too! So far, this is what I've found Bob. I'll keep an eye out. 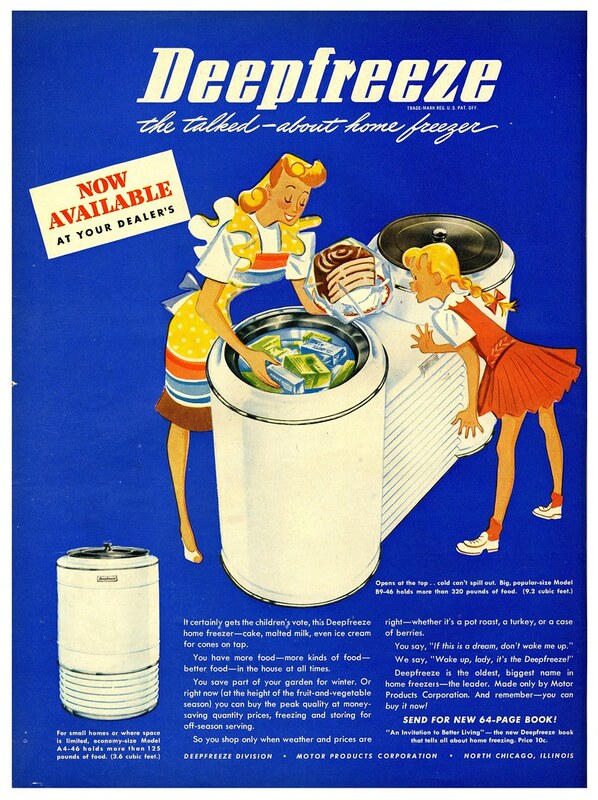 I see the date on that Kelvinator washer advert is April of 78'. 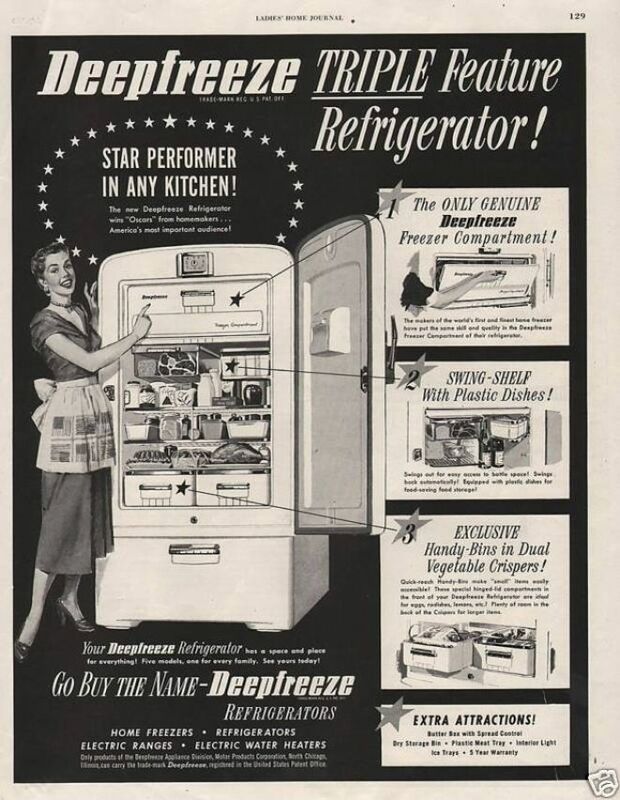 I never knew that Kelvinator made appliances that late. 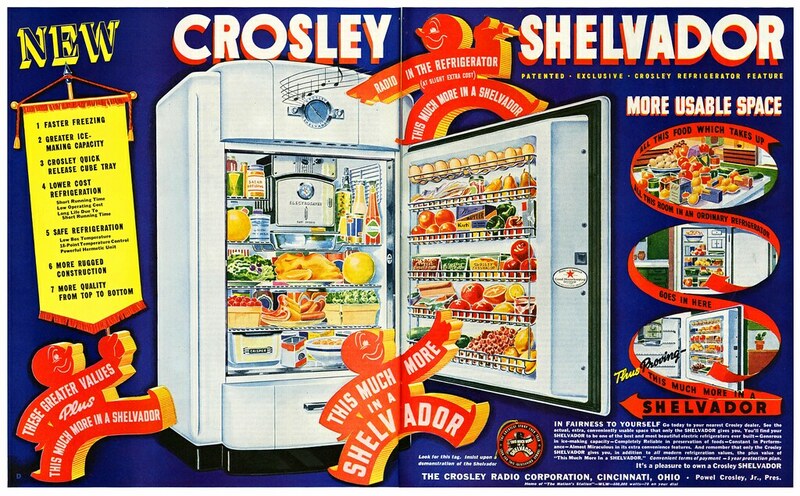 I always thought of them as a mid 50's brand that faded away around 1960 or so. 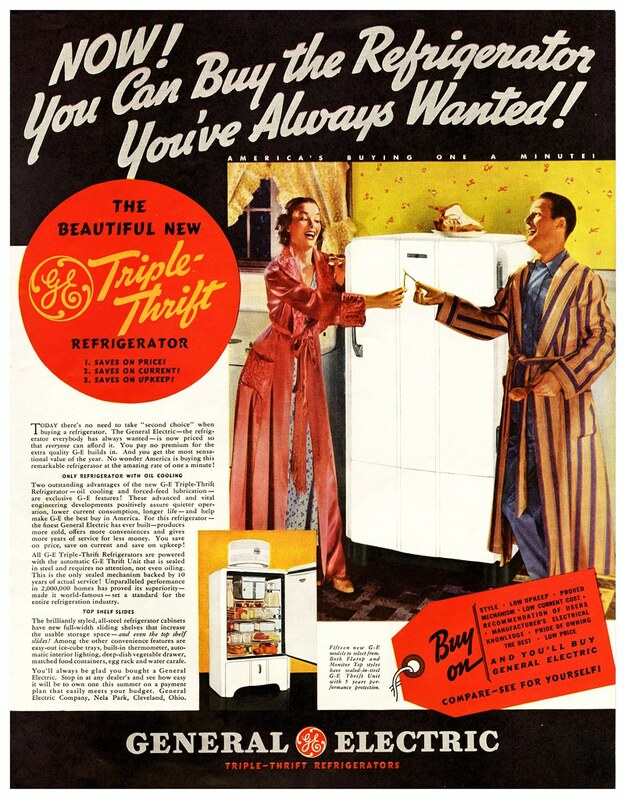 In appliance stores that I seemed to frequent (including the HUGE Polk Bros. of Chicago) I never saw any Kelvinator appliances. 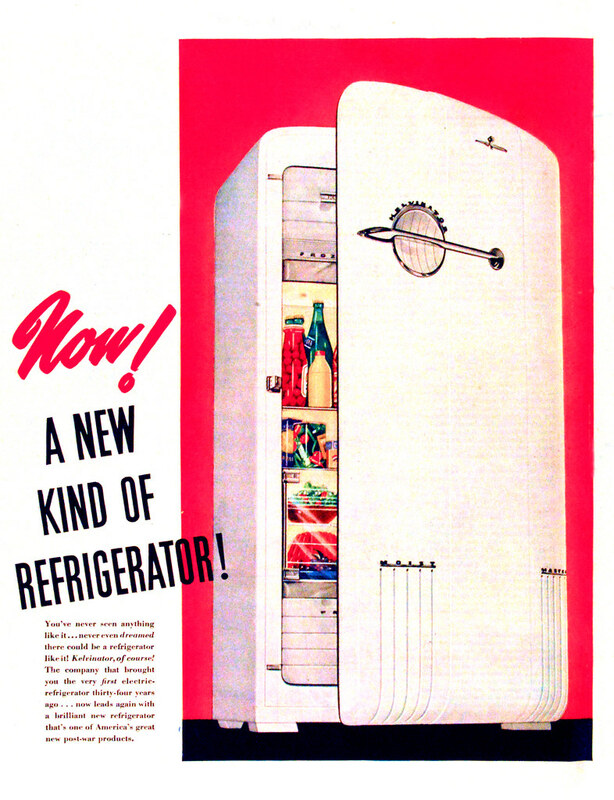 What kind of stores sold Kelvinator? 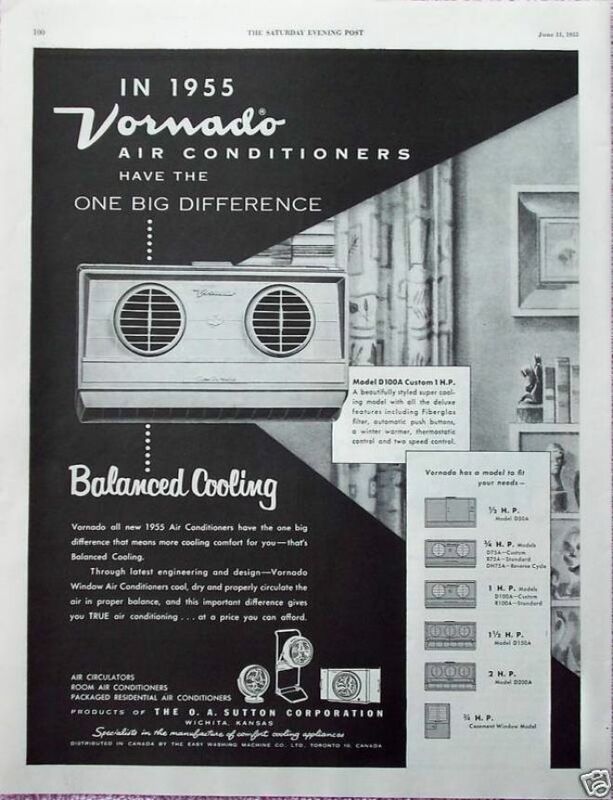 it was White Consolidated Industries, not real Kelvinator. Louie- thank you for these interesting threads! 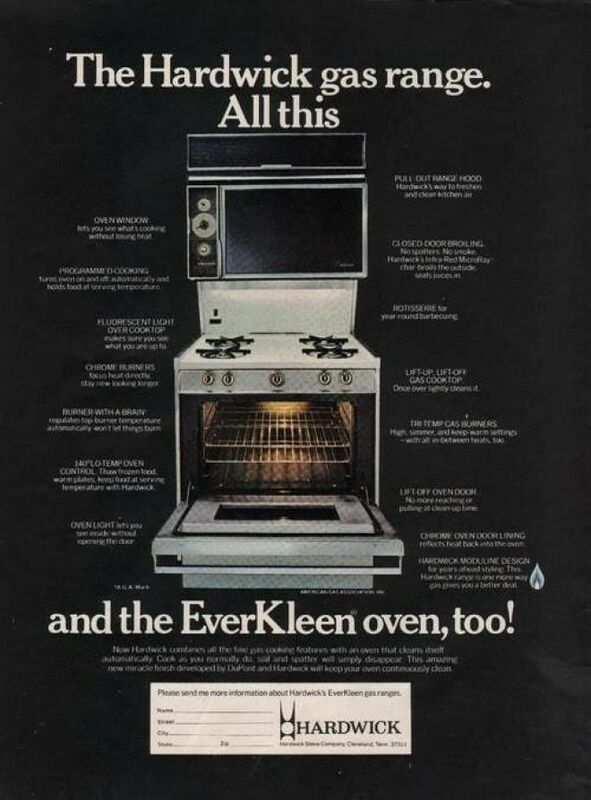 Around here (Central WI) in 1978, Kelvinator appliances were used by home builders as the appliances that came with a new home. I had several relatives that built new homes at that time, and they all had them. Needless to say, they weren't around long because of durability issues. 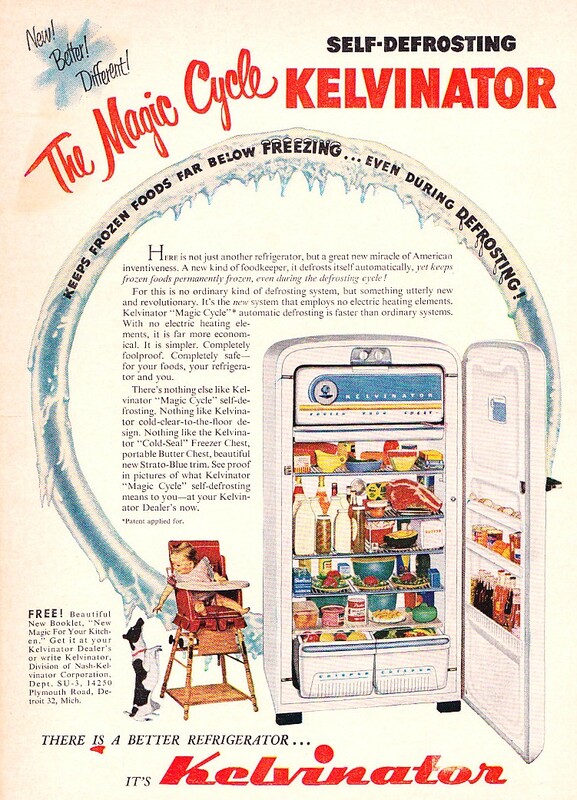 I recently looked at a Kelvinator chest freezer when I was in Wasserstrom restaurant supply. 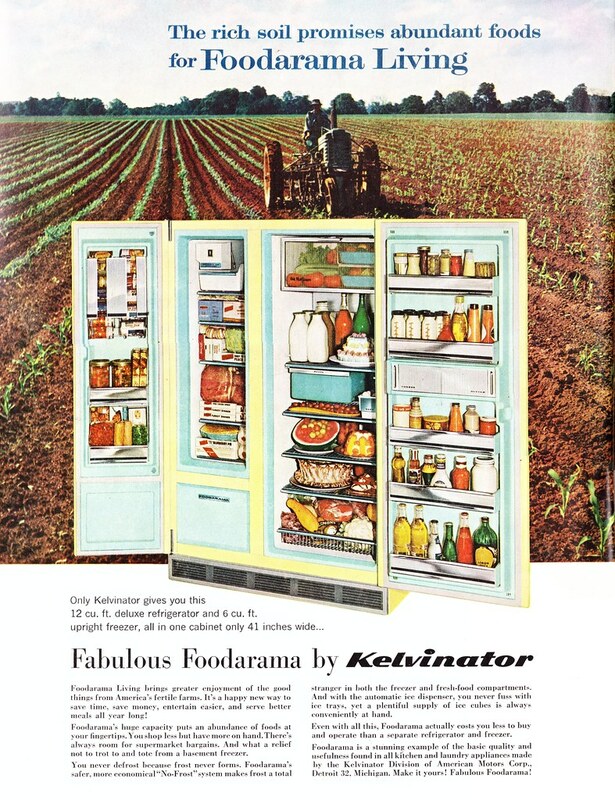 Electrolux in still using the Kelvinator name for their line of commercial freezers and refrigerators. Yep, I just went to their site. 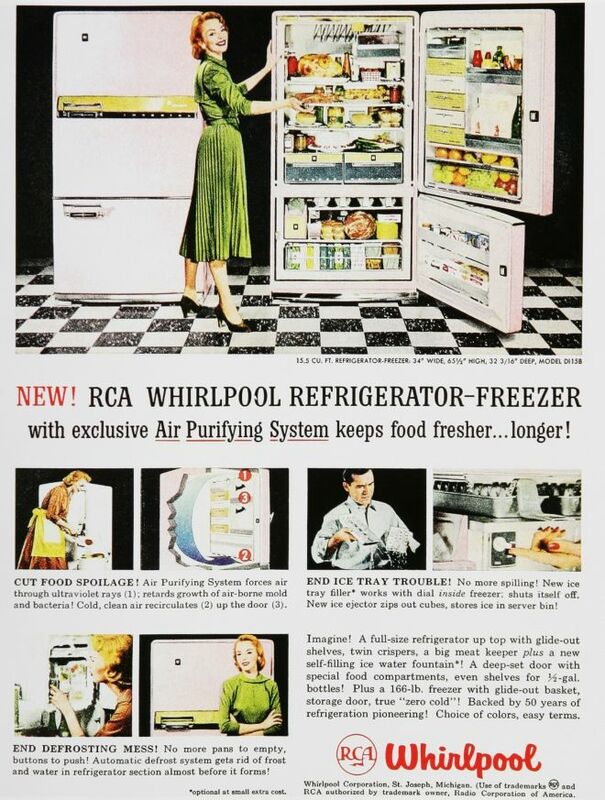 Love the RCA Whirlpool IceMagic Ad. 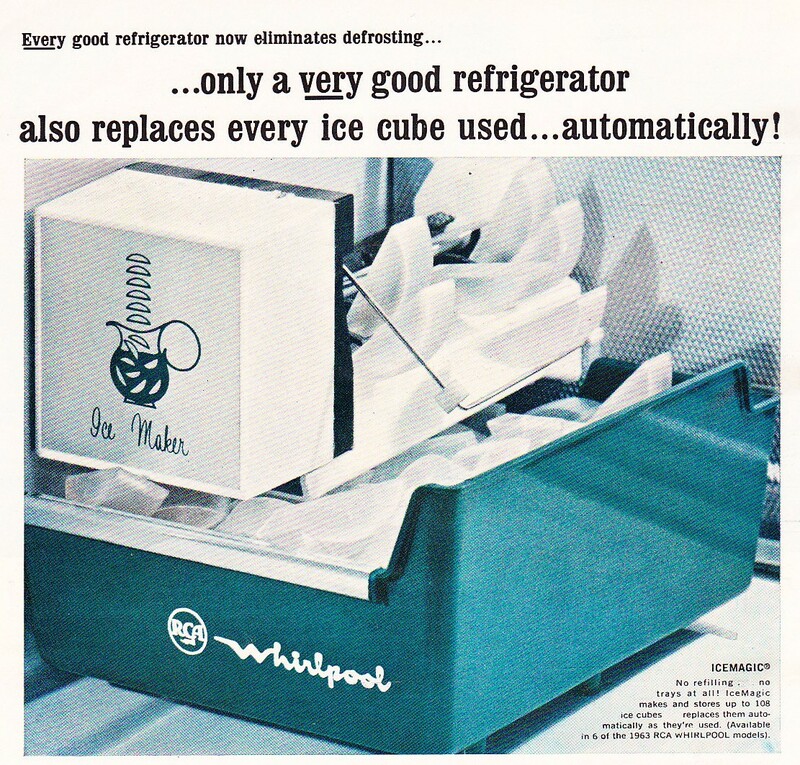 I wonder if Whirlpool had the upper hand for awhile with having the first Ice Makers. Does anyone know how long it took for everyone else to follow in their footsteps. 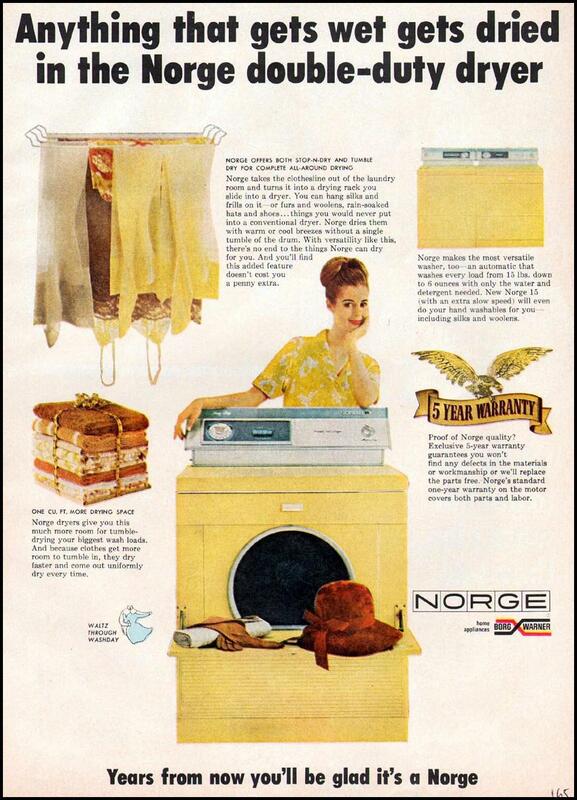 I am sure they had to come up with their own designs since Whirlpool had the patents on their system. 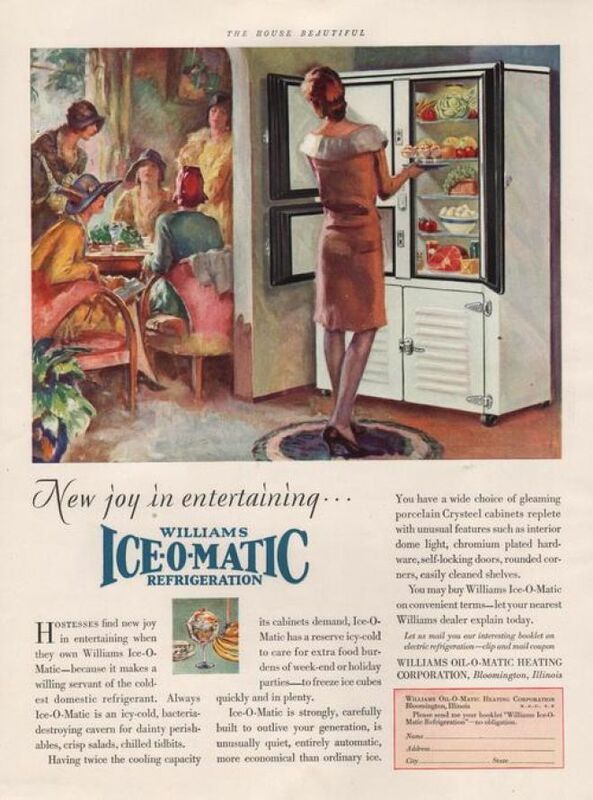 to offer ice makers. 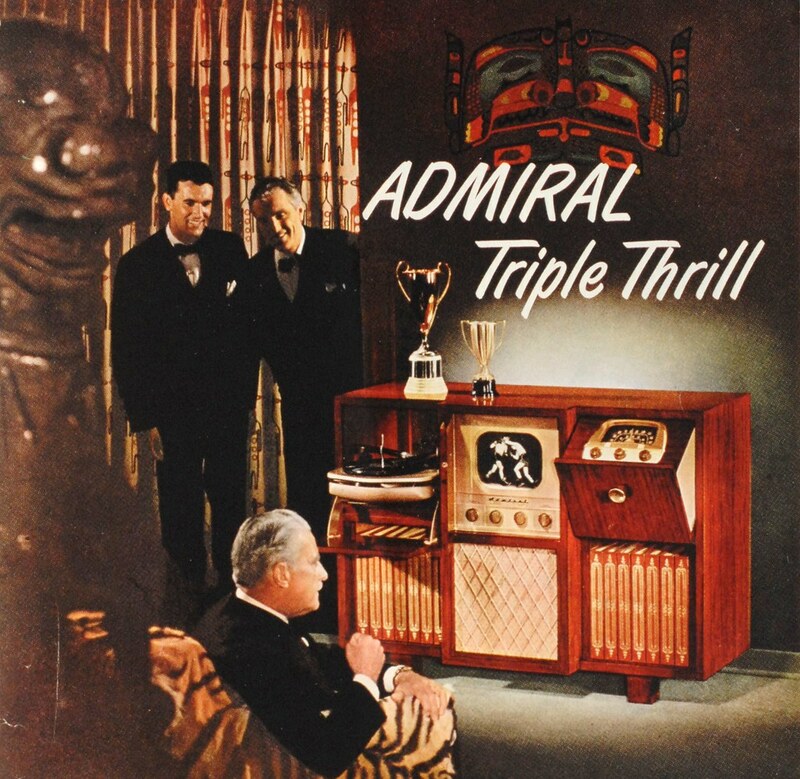 Admiral and Servil had them in the late 40's and early 50's. 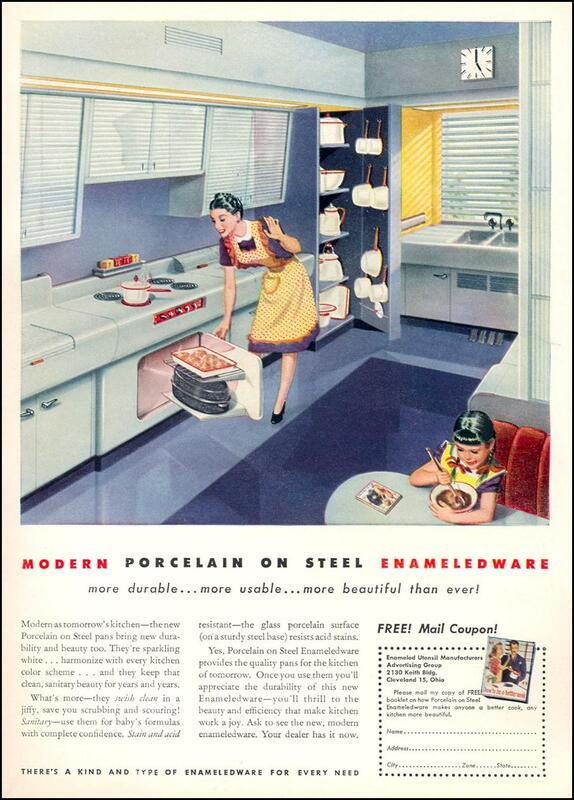 Good grief, they couldn't make sure the colors of the dishwher and range were coordinated in the ad? 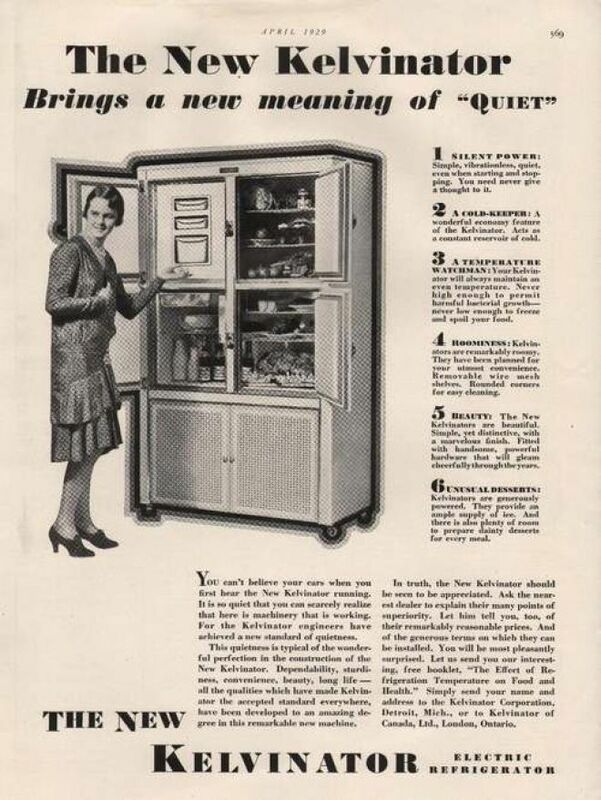 Check out the built in refrigerator and freezer! 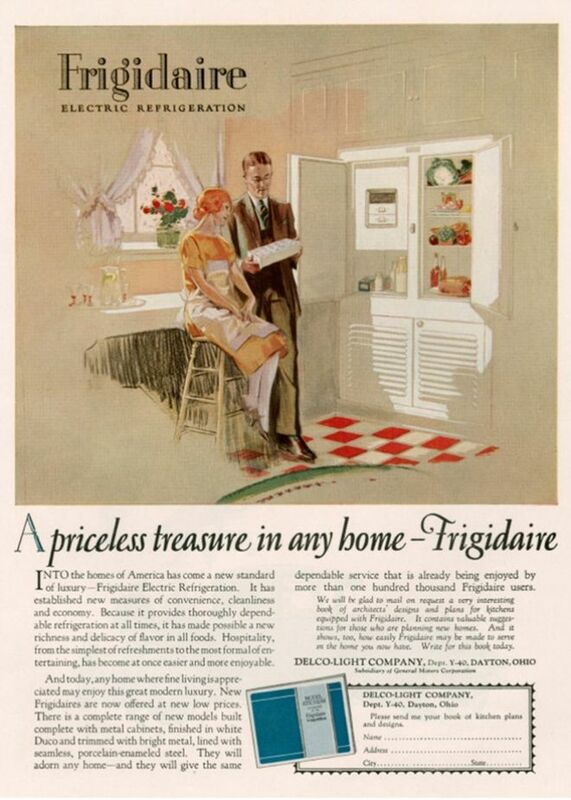 The 1963 Frigidaire refrigerator ad is refreshing. I'd love to see more of those type ads. 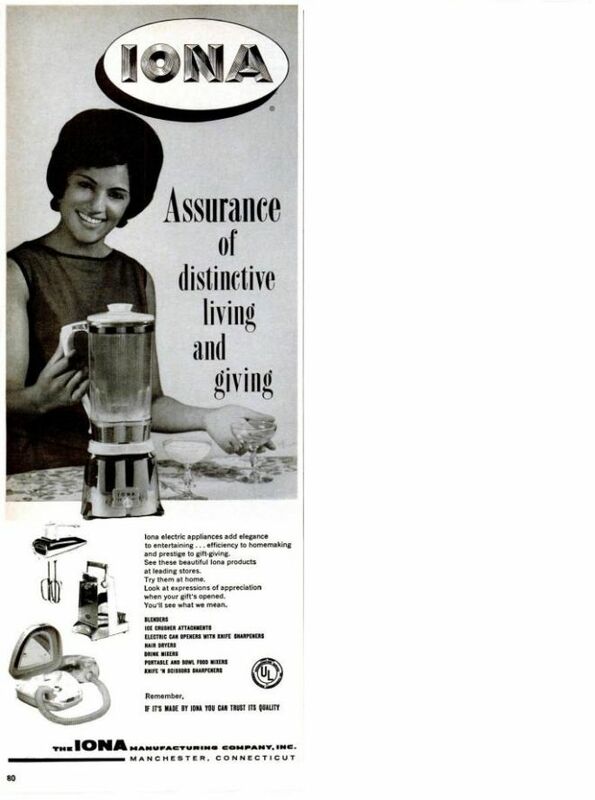 I believe that ad was quite radical and progressive for its day. 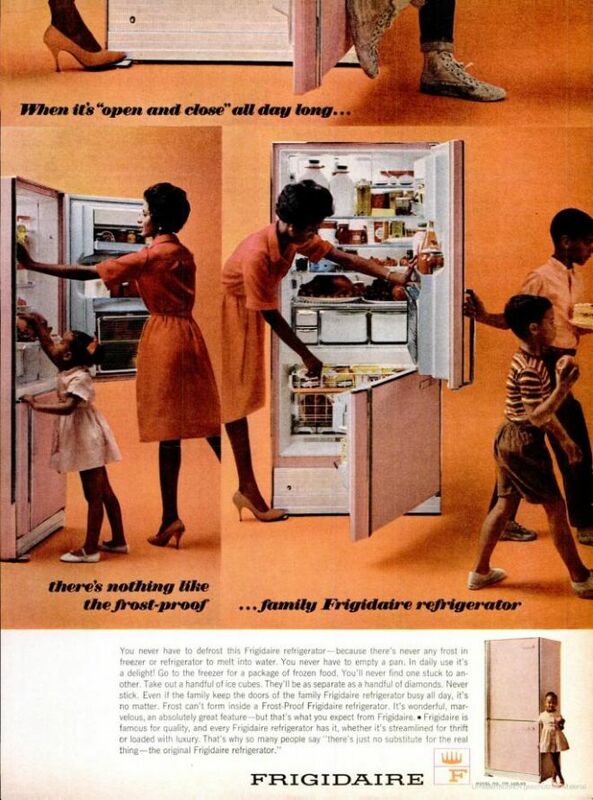 1963 Frigidaire ad probably appeared in Ebony magazine. 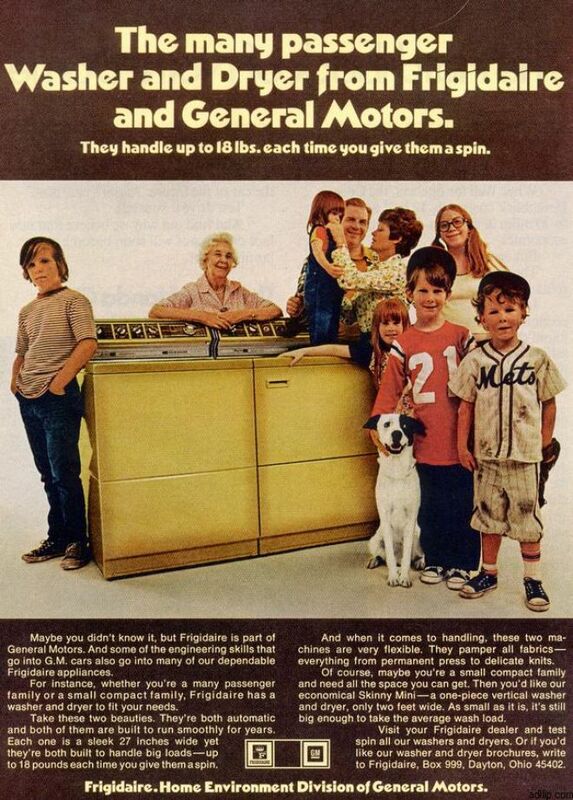 This was about the time when GM/Ford/Chrysler started to advertise to the AA community in a targeted manner. We just had a discussion at work of the appropriate outlets to reach the LGBT community...it was interesting what the corporation felt were the right places and what they actually should be. 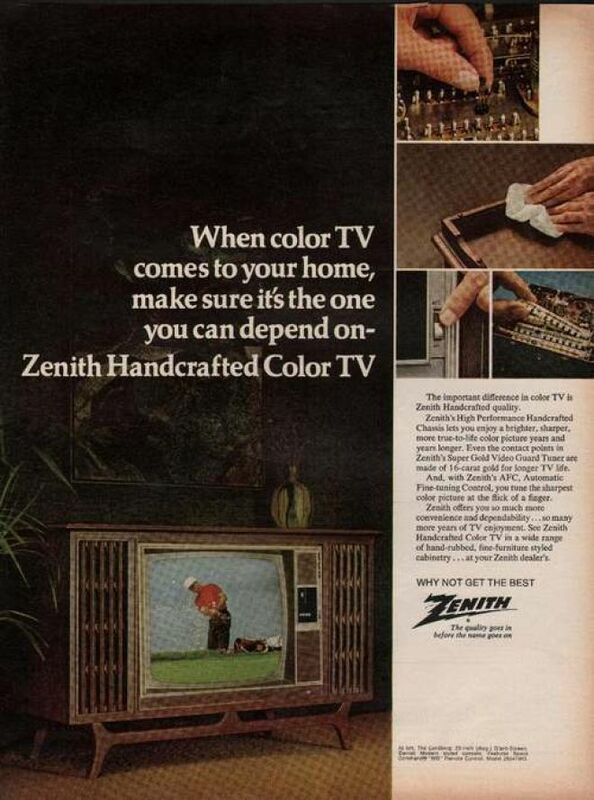 This ad was shown in Ebony and the exact same ad with white people was shown in Life. 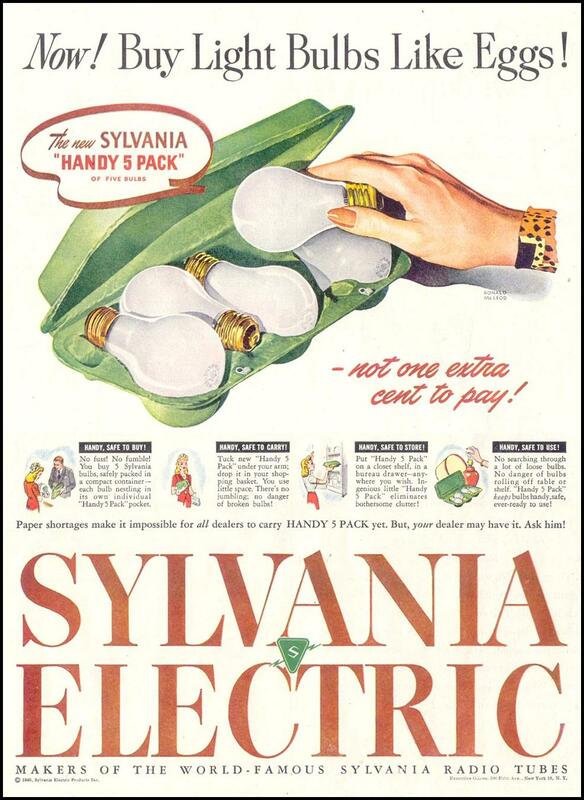 After looking at these adverts and remembering a lot of these brand names, such as Sylvania, Sunbeam, etc. All I can say is "How the mighty have fallen!" 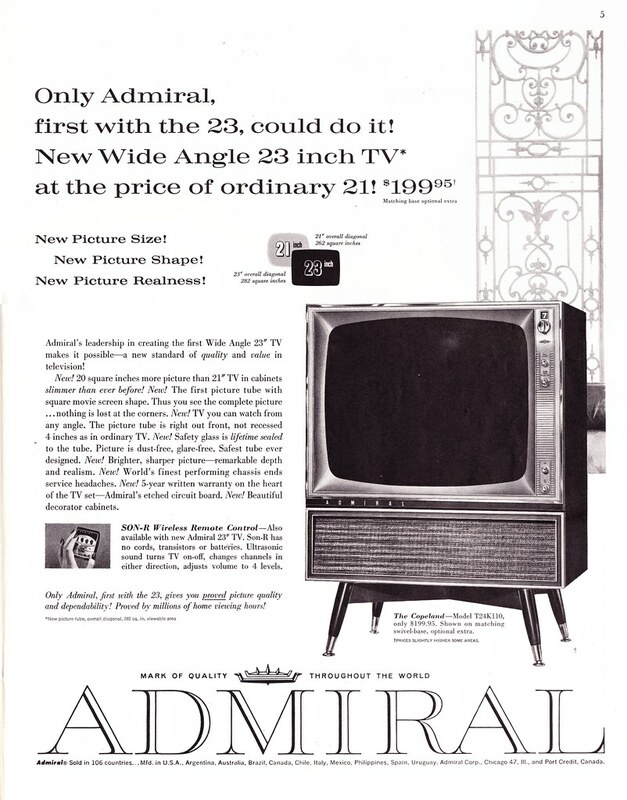 And in cases such as Admiral it was pretty quick. I have seen at least one other ad, a really classy beer ad, with the men over for cards or some guy's night activity. 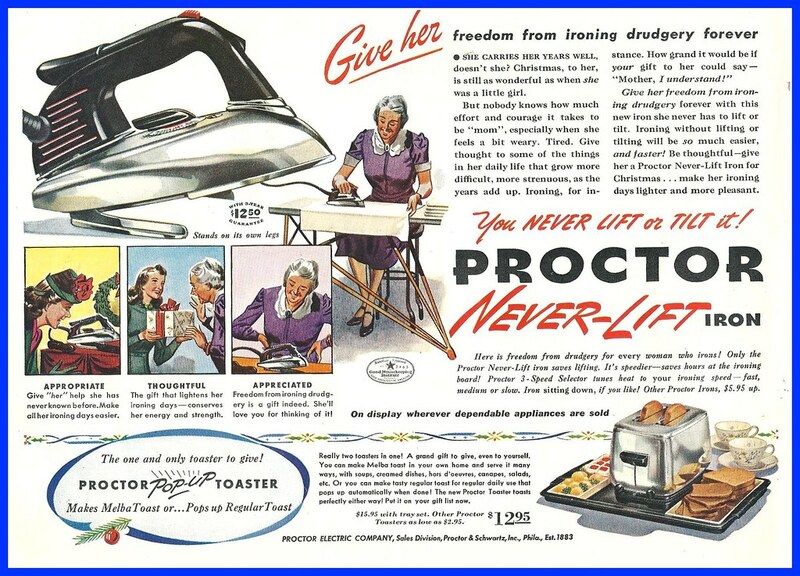 There was quite an industry in AA advertising, like films targeted for this specific group. 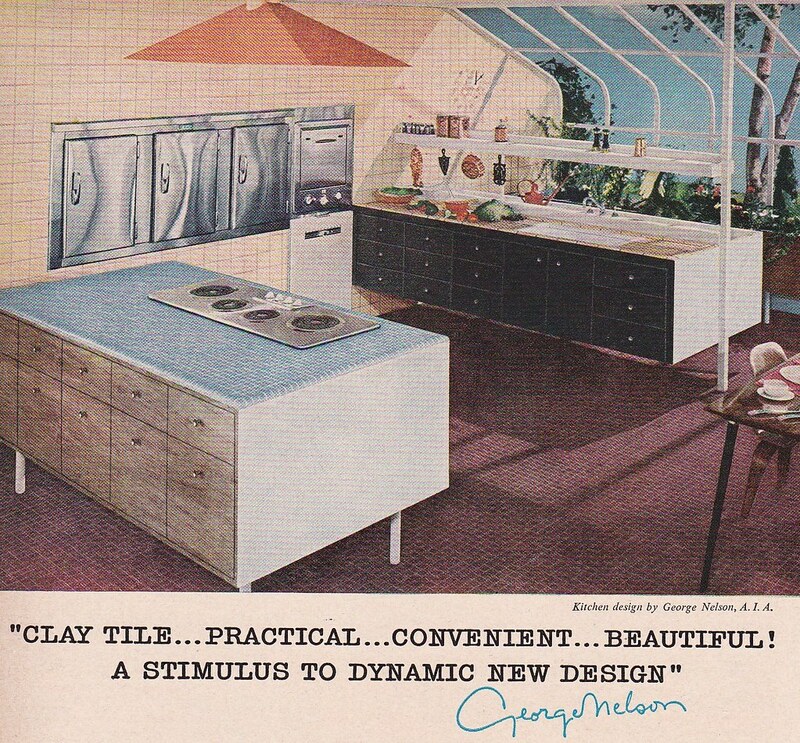 There are some real treasures of advertising and Mid Century lifestyle films with young moderns, moms, children, husbands, etc. 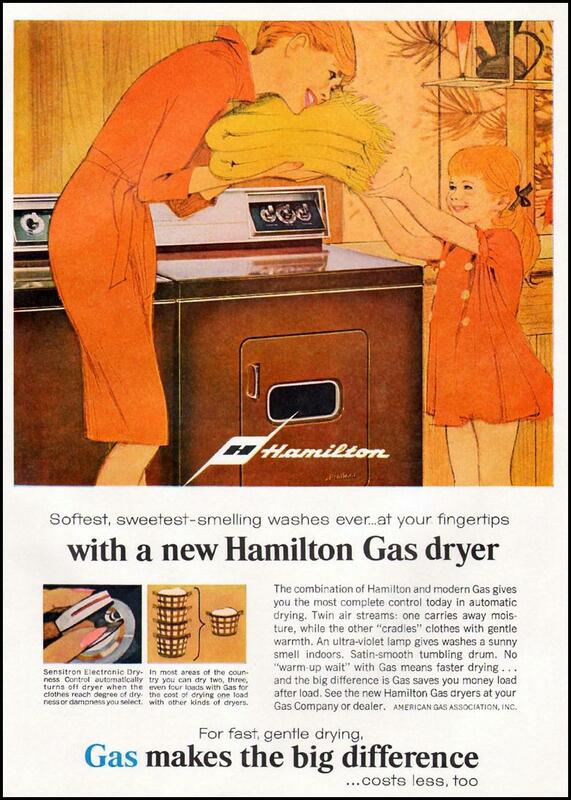 There is a Helen Miller, a big name in AA advertising back in the day. Someone cleverer than me, can you find some pictures of the 1957 Chrysler Corporation lineup featuring one lovely model, she appeared with an Imperial Crown, and a Plymouth Belvedere convertible. 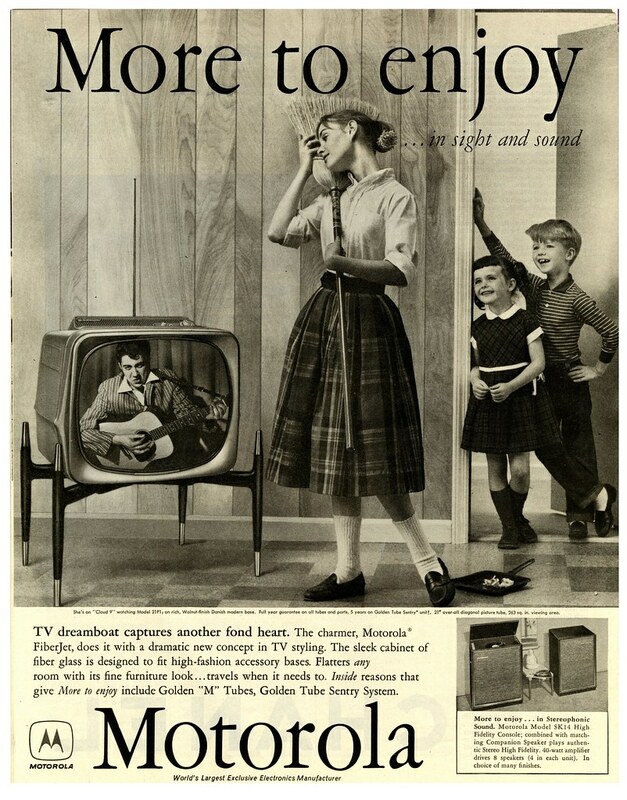 I remember sooooo many of these ads. 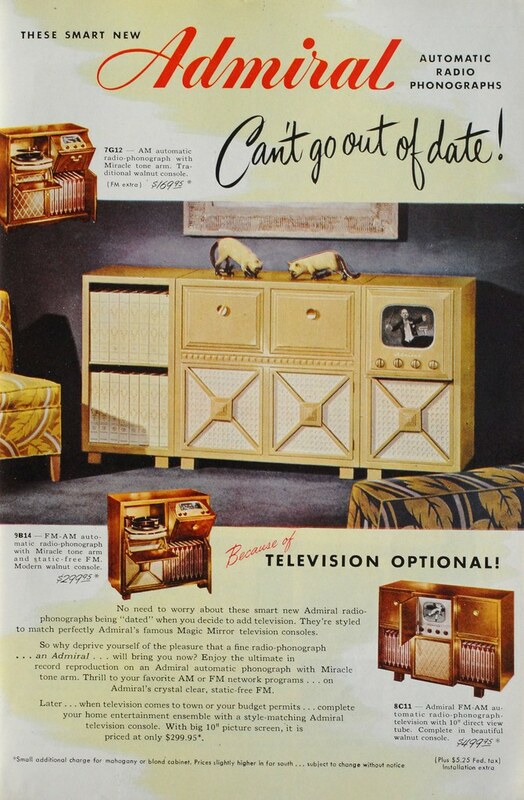 My mom and Dad got that Capehart Clock Radio as a Wedding Present in 1951. I am so glad that I was brought up in that Time Line. 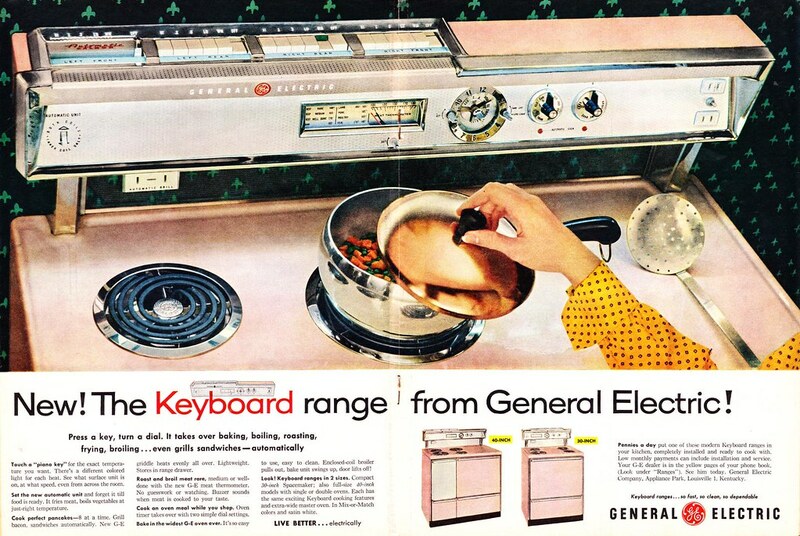 The ads I remember most were from the 70's. 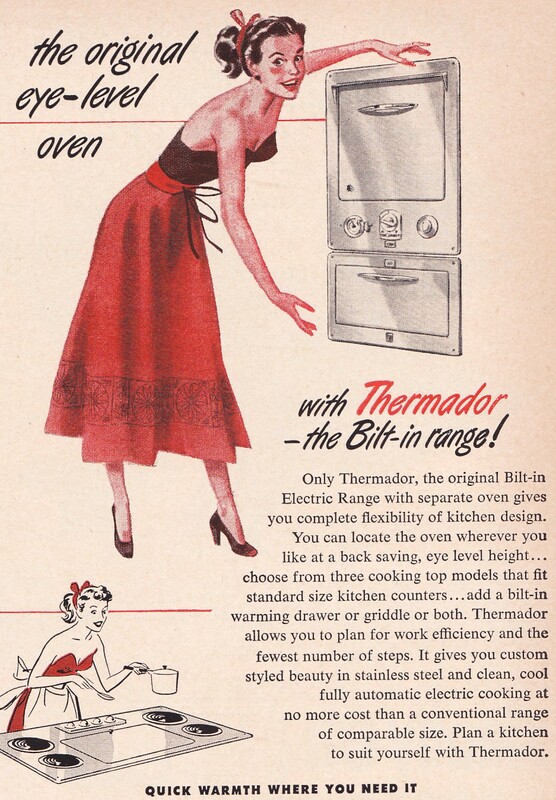 I got my first taste of 40's, 50's and 60's advertising when I found huge stacks of vintage Look and Life magazines from those eras. They were left behind in the basement of a house my parents had purchased in 1972. I poured over each and every one of those magazines, surprised that many of the brands and products I knew then existed back in the 40's, LOL. I had them all, intact until 1979. One day coming home from school, I noticed they were all gone! My mother had decided they were taking up to much space in the basement and threw them all out! 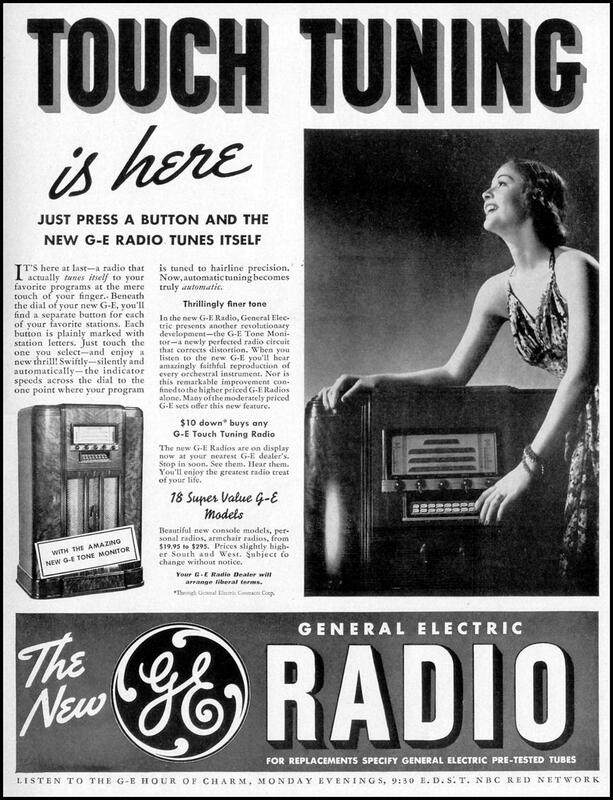 When I stop to think about all those gorgeous ad's for Lincoln, Sylvania, Westinghouse etc, some of them double page spreads, it still brings a tear to my eye. No trace left that there may have been a manufacturing facility there at one time. 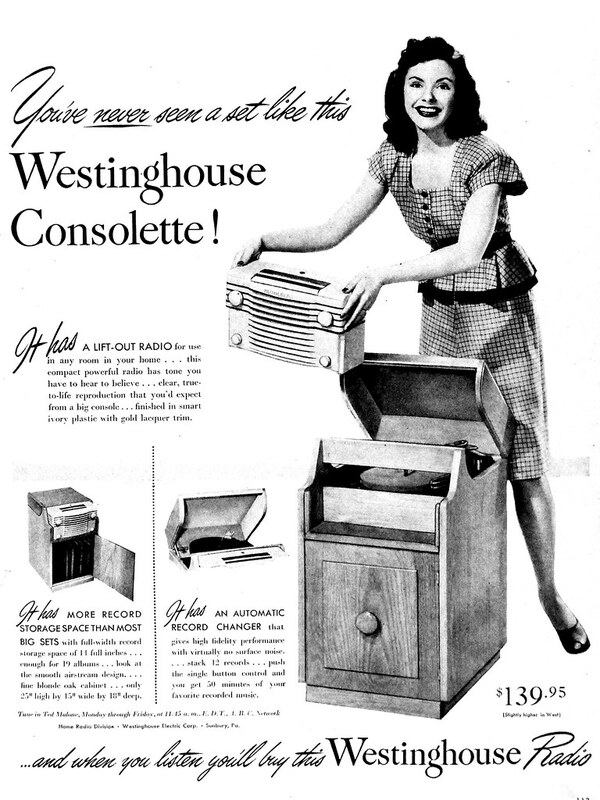 About that Philco record player where you put the record in the slot. 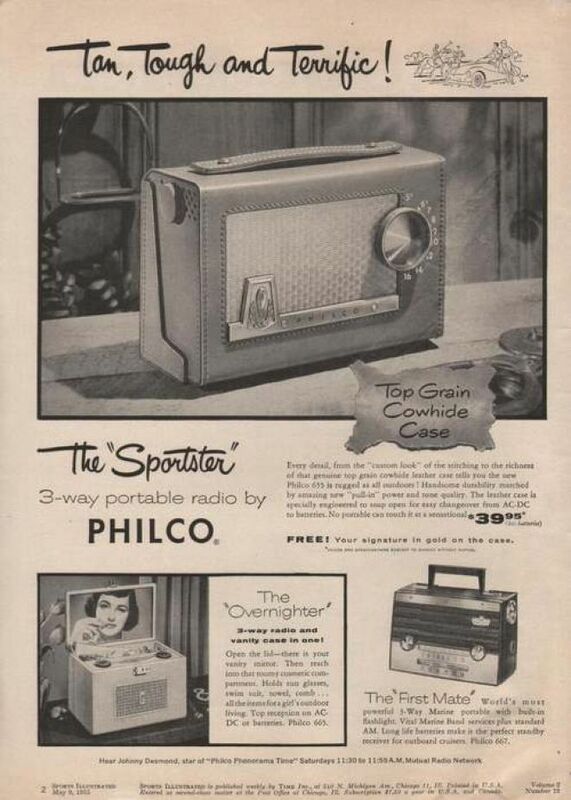 That was also used on early record players that were installed in automobiles in the mid 50's. But they usually played only 45's. seems to me, someone here just got a brand new 1970 IONA hand/stand mixer in the box......I just can't put my finger on him....I wonder who he is? 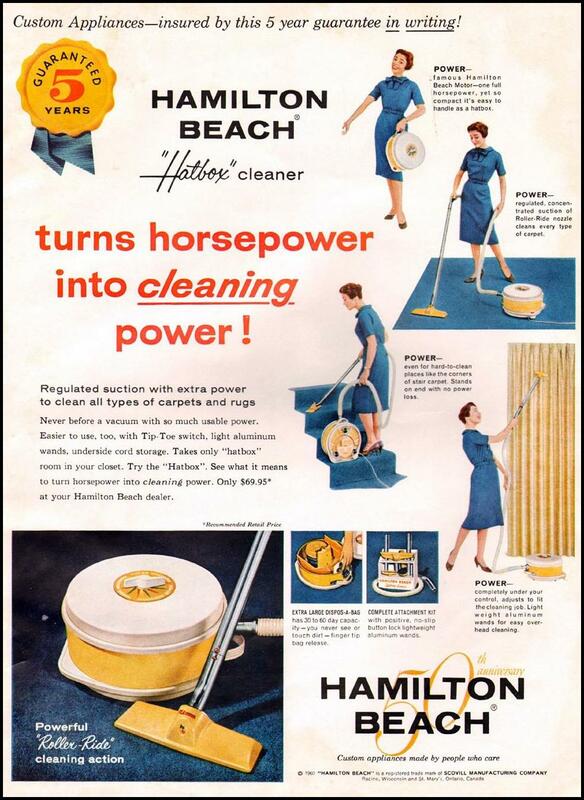 My dad used to have an IONA shoe polisher. I think I did at one time too. Philips recently has featured plasma (and maybe LCD?) 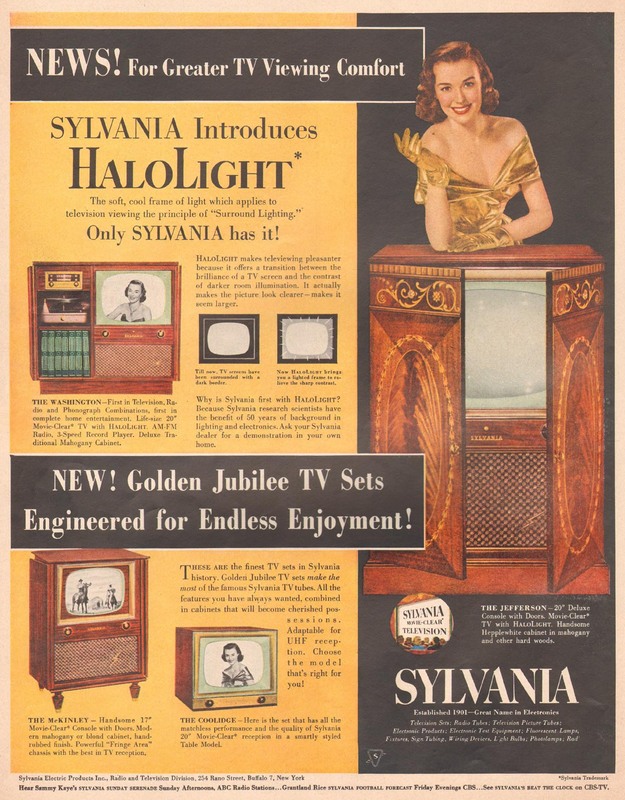 TVs with Ambilight, which is similar to Sylvania's HaloLight. I got a MINT IONA stand mixer from Spiderman. Those tights left NOTHING to the imagination. 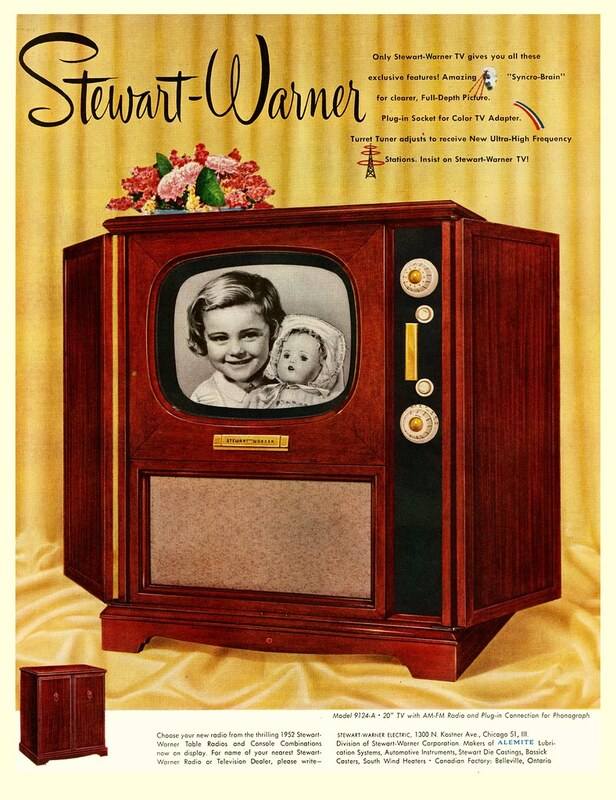 The color TV adapter was for the CBS color wheel equipment, which actually was never marketed because it was never adopted as a standard. 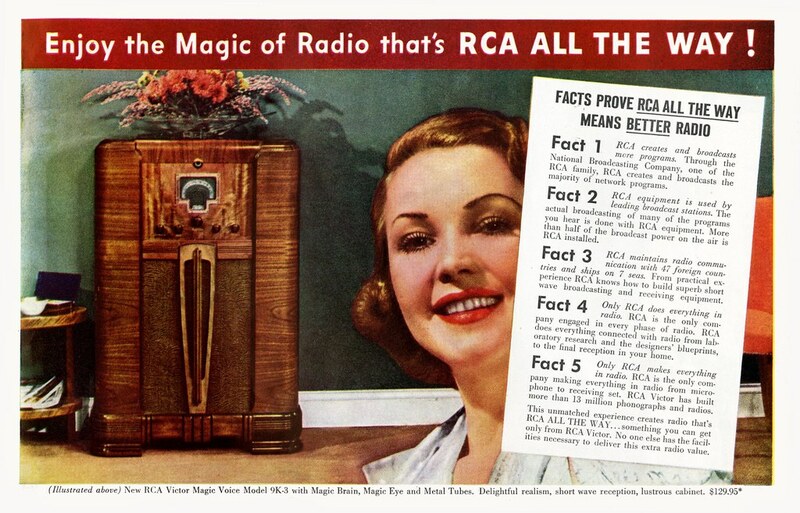 The RCA compatible system is what was adopted instead. This did not require the use of a color wheel. 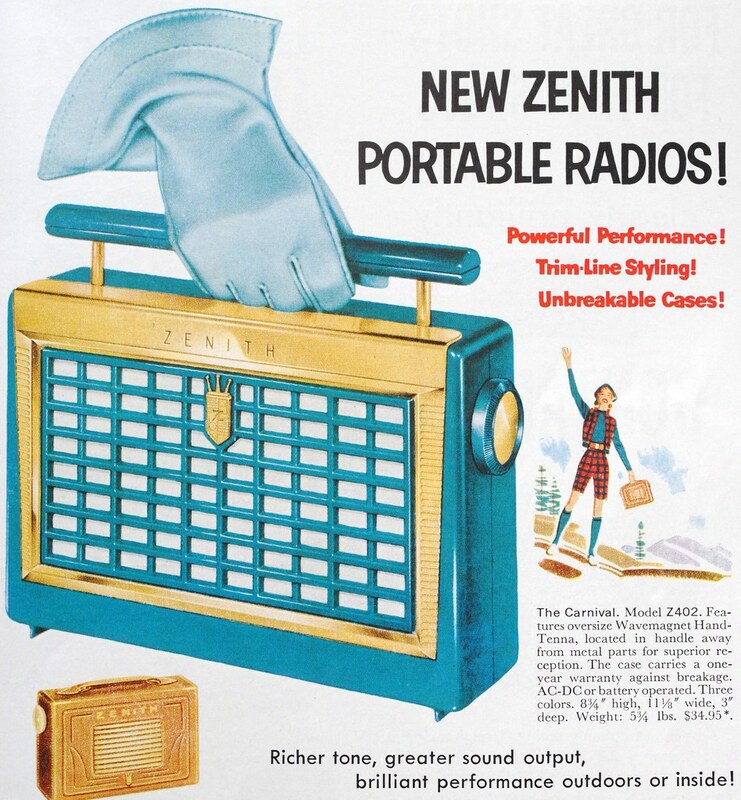 Do you know how I might be able to locate this ad on the web? 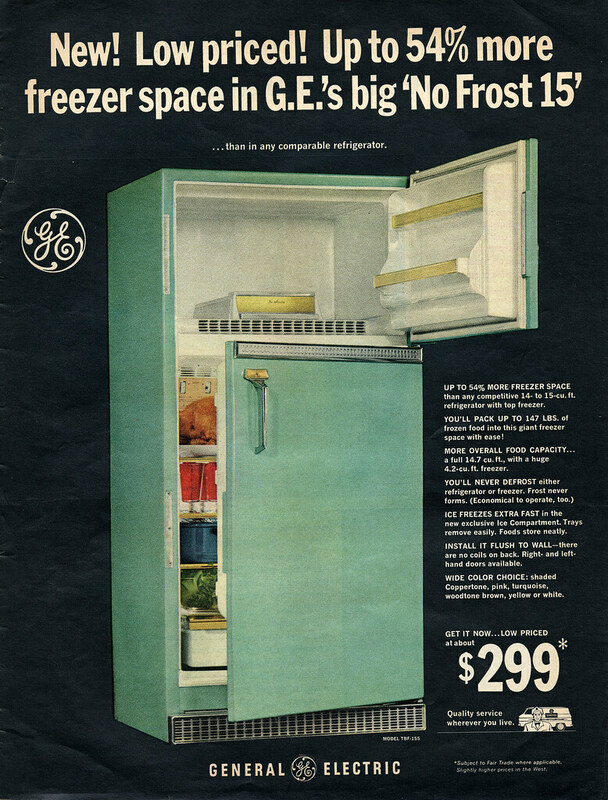 Not to give away your sources, if that's classified( :-) ....but I'd like to find some of the Litton microwave ads. Thanks so much. You did a wonderful job tha in all the 4 parts. Thank you Dimitris! I'm up to part twenty now. Enjoy!